Our RV Technical Assistance is beyond compare within the industry. NSD has accumulated the industry's most talented and recognized RV Technicians to provide our clients with over 85 years of RV repair and service expertise. Our clients and partners will benefit through increased consumer confidence in the products and services they are offered. Today, the RV industry is expanding into a new frontier of enhanced customer service. The RV Technical Assistance Line is part of our commitment to support customer service within the industry. 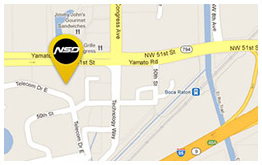 NSD RV Master Certified Technicians are continually expanding on their education, training and field knowledge. They are the most up to date team of repair and service professionals in the industry. In 2006 the NSD RV Team was recognized by The Dometic Corporation through their 2006 MVP Award for "outstanding performance in exceeding customer expectations for quality maintenance and repair". The NSD RV Technician team has further been acknowledged by RV Pro Magazine in April 2006, TRVA Scanner in Winter 2005, RV Trade Digest, RV Technician and Family Motor Coach Magazine. For our service contract and warranty partners, you will see increased consumer confidence translates into more RV sales and more RV service contract sales. 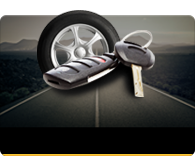 Additionally, with NSD techs involved, your claims frequency and severity will be lower. NSD is committed to the growth of the RV Industry through the support of the RVDA and RVIA to ensure the proper training and industry integrity is built within our rapidly growing industry. Staffed by Master Certified and Certified RV Technicians as recognized by the RVDA-RVIA Technician Certification Governing Board. Over 85 years combined RV repair and service knowledge. All technicians have hands-on involvement with current RV and Service trends.